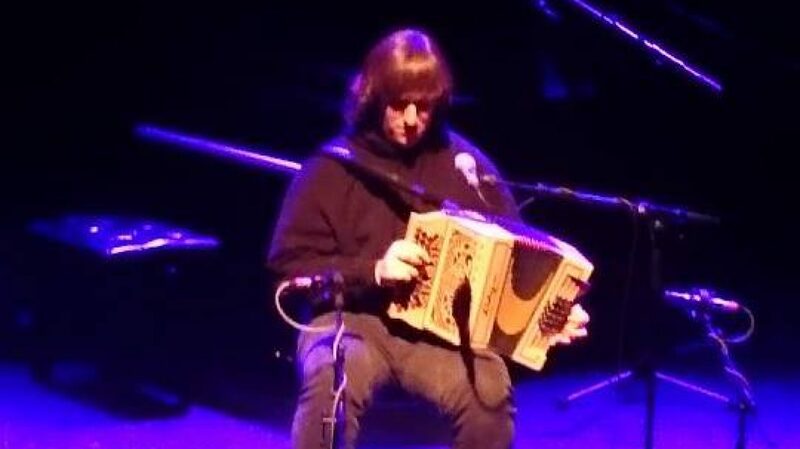 Benammi Swift is a young melodeon player from Derbyshire. He is a vibrant and rhythmic player who loves preserving tradition whilst offering his own angle on the music he plays. Benammi has already become a known player on the scene through his work at festivals such as Whitby Folk Week, Sidmouth Folk Week, Derby Folk Festival and others. He was a member of the first cohort for the English Folk Dance and Song Society’s National Youth Folk Ensemble, Nominated 2016 BBC Radio 2 Young Folk Award and now studying on the Folk Degree Course at Leeds College of Music. He is currently working on an exciting Solo EP. He is now working with Fingersyle guitarist James Haigh as duo “Benammi Swift & James Haigh” along with trio “James Haigh Trio” who are appearing at festivals over the summer. Benammi began teaching himself the melodeon after being given his late father’s melodeons in 2013 and has worked since then to improve constantly, drawing inspiration from some of the big names on the scene. Benammi’s light-bulb moment came following a week with Saul Rose at Folkworks Summer School which shaped the way he plays and thinks about his instrument to this day. He now draws inspiration from further afield such as Belgium, France, Italy and Canada to name a few. He is not only a Melodeon player but plays other instruments. These include the guitar and violin. Although his cat might dispute the bit about the violin. He is also a member of Ripley Morris Men being mainly a musician but is very interested in the folklore surrounding Morris dancing.